Today’s the day to take your life back. 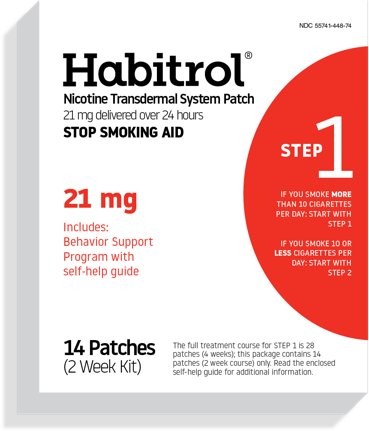 Get help on your journey to kick your smoking habit. *Behavioral support program increases chance of success. Use as directed. Use one 21 mg patch a day for weeks 1–4. 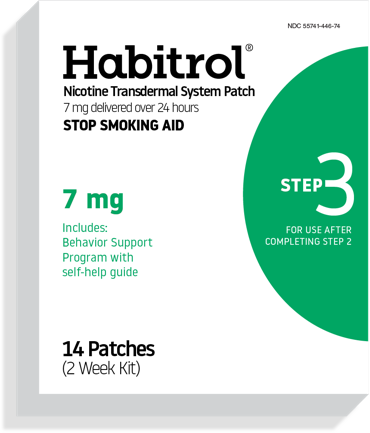 Use one 14 mg patch a day for weeks 5–6. 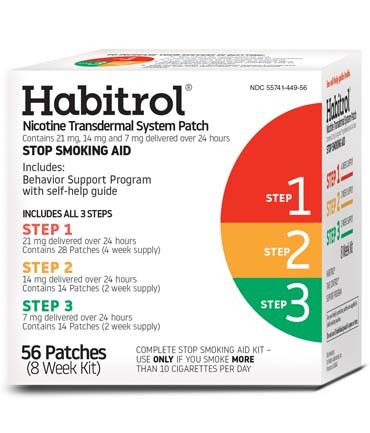 Use one 14 mg patch a day for weeks 1–6. Use one 7 mg patch a day for weeks 7–8. Behavioral support program increases chance of success. Use as directed. Congratulations! 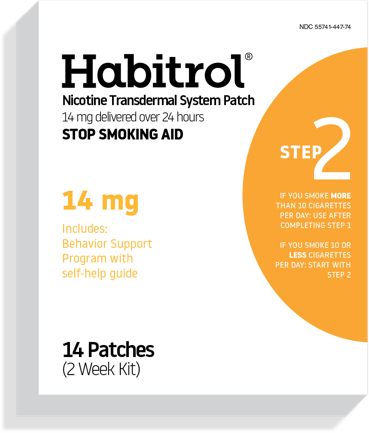 You've joined millions of others who have made the commitment to quit smoking with the help of Habitrol. Behavioral support program increases chance of success. Use as directed. This website is intended for U.S. audiences only.